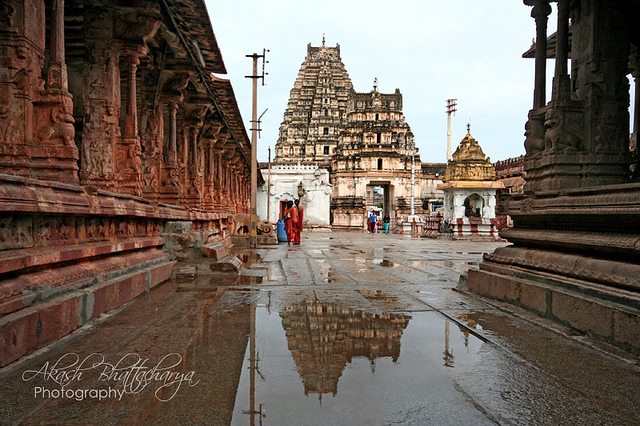 Virupaksha Temple is located in Hampi, 350km from Bengaluru, in the state of Karnataka. 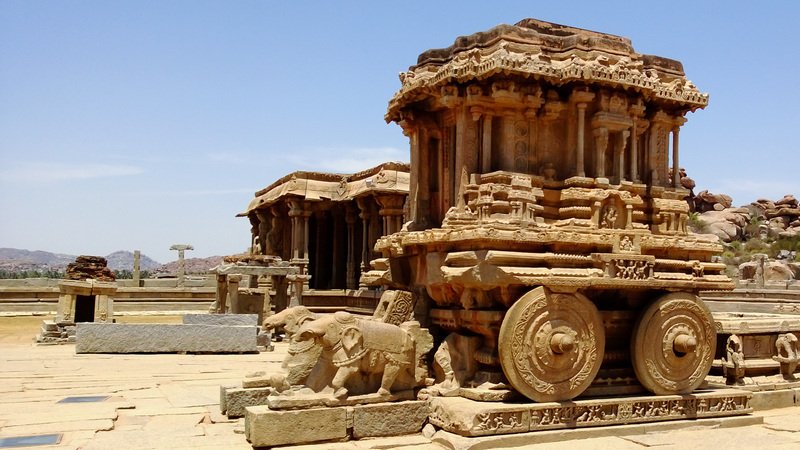 It is part of the group of monuments at Hampi, designated a UNESCO World Heritage Site. 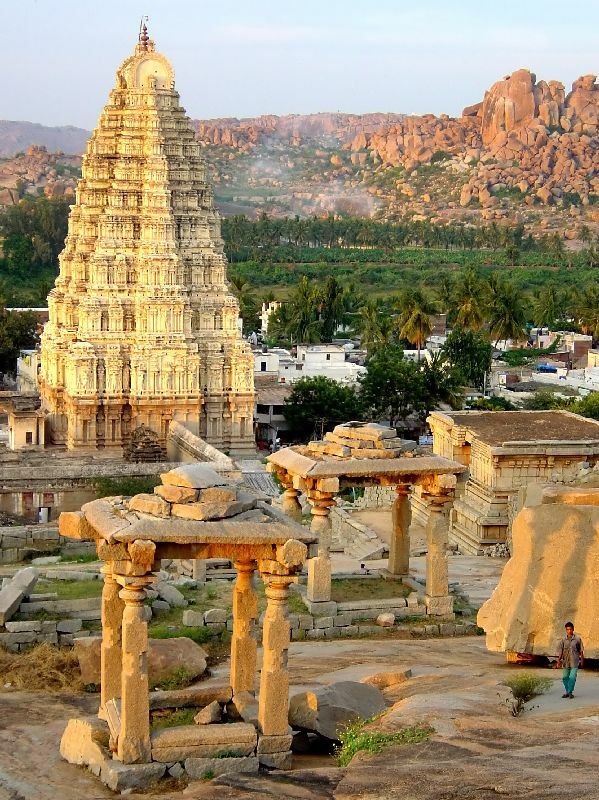 Hampi sits on the banks of the Tungabhadra River, in the ruins of the ancient city of Vijayanagar. The Virupaksha Temple is the main centre of pilgrimage at Hampi, and has been considered as the most sacred sanctuary over the centuries. 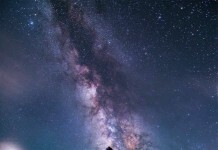 It is fully intact amid the surrounding ruins and is still used in worship. 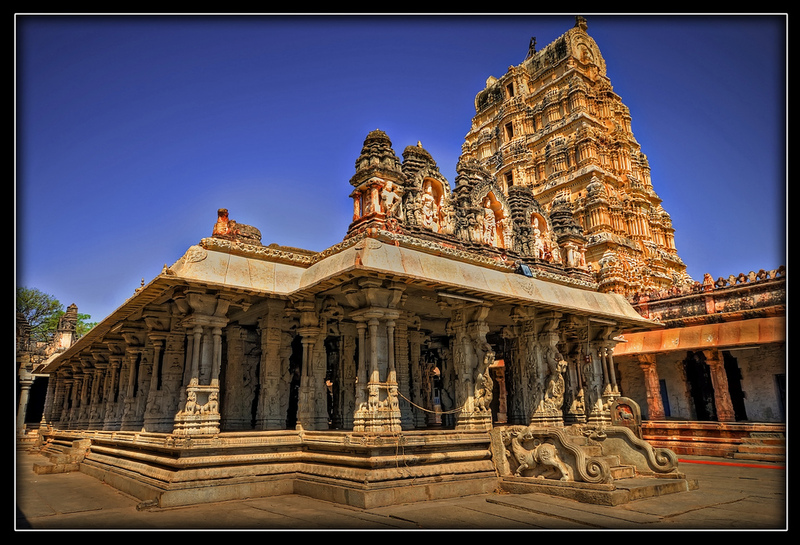 The Temple is dedicated to Lord Shiva, known here as Viru, as the consort of the local Goddess Pampa, who is associated with the Tungabhadra River. 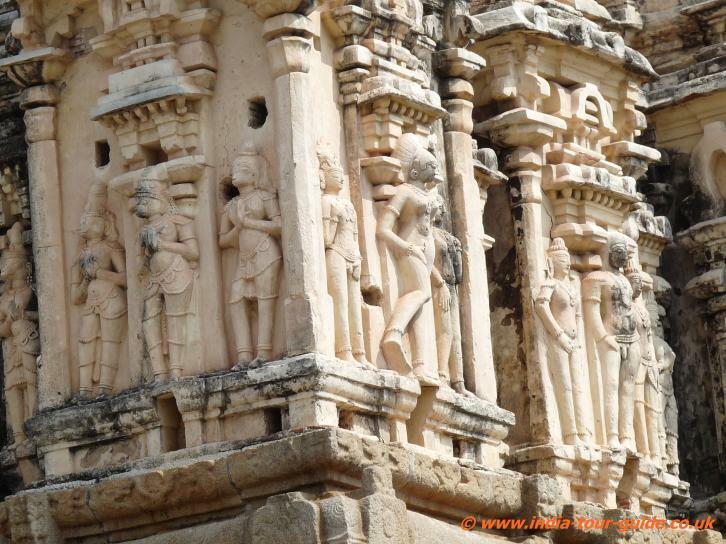 The Temple’s history is uninterrupted from about the 7th century. 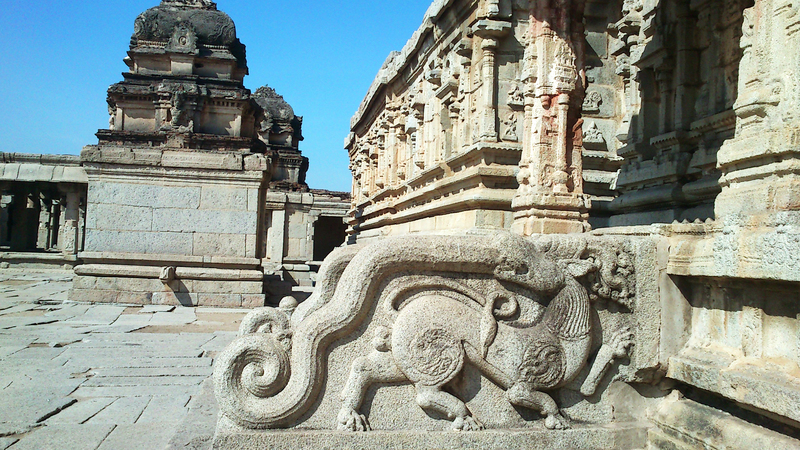 The Viru-Pampa Sanctuary existed well before the Vijayanagar Capital was located here. Inscriptions referring to Lord Shiva date back to the 9th and 10th centuries. 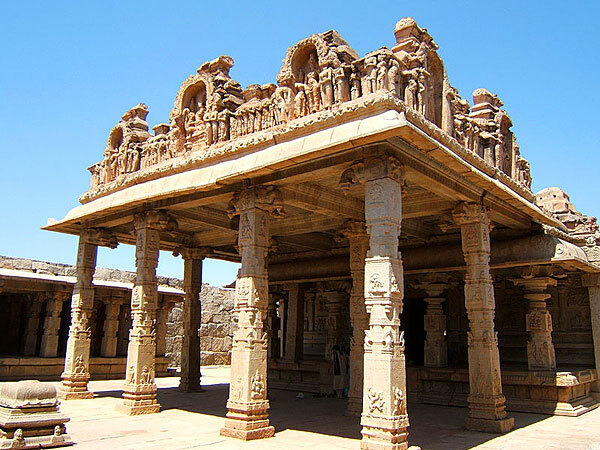 What started as a small shrine grew into a large complex under the Vijayanagar Rulers. 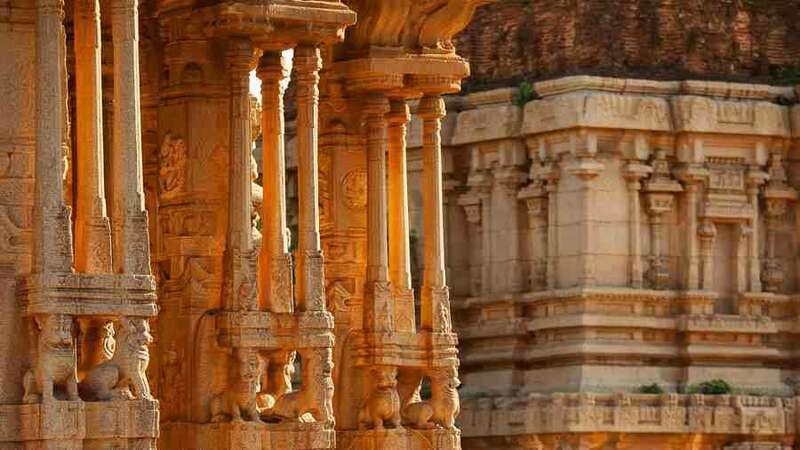 Evidence indicate there were additions made to the Temple in the late Chalukya and Hoysala peiods, though most of the Temple building is attributed to the Vijayanagar period. 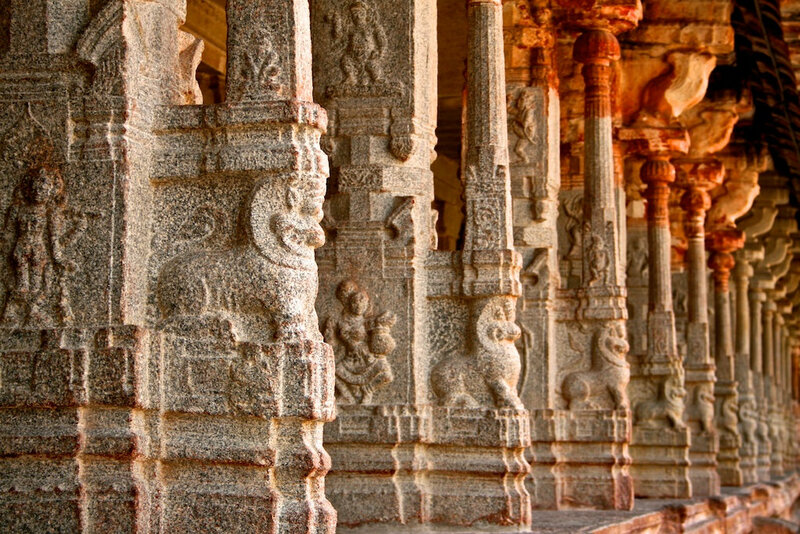 Under the Vijayanagar Rulers, in the middle of the 14th century, there began a flowering of native art and culture. When the rulers were defeated by Muslim Invaders, in the 16th century, most of the wonderful decorative structures and creations were systematically destroyed. At present, the main Temple consists of a sanctuary, 3 ante-chambers, a pillared hall, and an open pillared hall. A pillared cloister, entrance gateways, courtyards, smaller shrines and other structures surround the Temple. The 9-tiered eastern gateway, which is the largest at 50m, is well proportioned and incorporates some earlier structures. It has a brick super-structure and a stone base. it gives access to the outer court containing many sub-shrines. The small eastern gateway leads to the inner court with its numerous smaller shrines. A narrow channel, of the Tungabhadra River, flows along the Temple’s terrace and then descends to the temple-kitchen and out through the outer court. 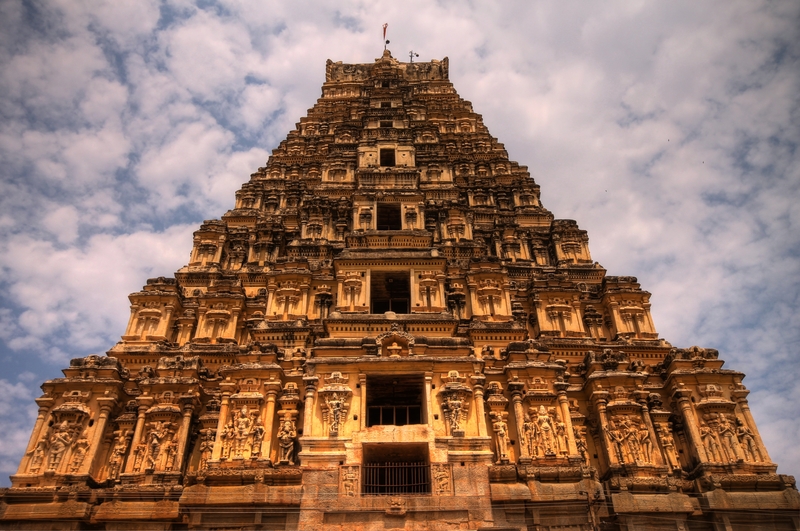 Krishnadevaraya, one of the famous kings of the Vijayanagar Empire, was a major patron of this temple. 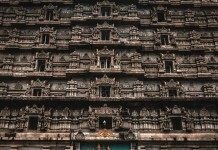 The most ornate of all structures in the temple, the central pillared hall is believed to be his addition to the temple. 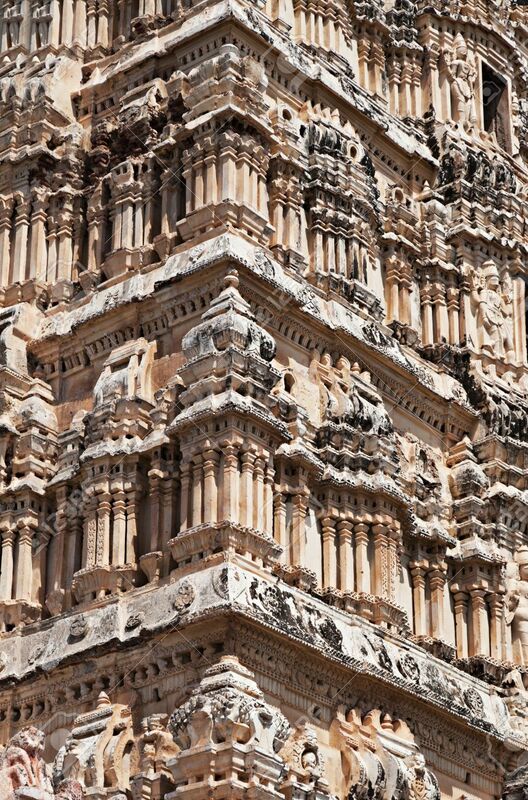 It is recorded that Krishnadevaraya commissioned this hall in 1510 AD. The temple continues to prosper and attract huge crowds for the betrothal and marriage festivities of Virupaksha and Pampa in December. In the month of February, the annual “chariot” festival is celebrated here.